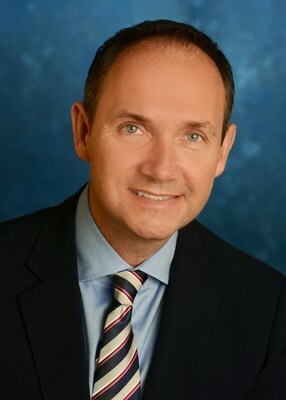 DALLAS and SAN DIEGO, /PRNewswire/ -- AMN Healthcare Services, Inc. (NYSE:AMN), the leader and innovator in workforce solutions and healthcare staffing services, announced today that Dr. Cole Edmonson, DNP, RN, will join the company as Chief Clinical Officer. In this role, Cole will oversee AMN's clinical and credentialing organizations, along with the company's learning and research programs, and responsibilities related to clinical quality, compliance and risk. "Quality is vital to the success of AMN Healthcare, and Dr. Edmonson brings powerful expertise and vision to this critically important aspect of our business," said Susan Salka, President and CEO of AMN Healthcare. "We are thrilled to have a transformational leader of his caliber who will continue to evolve the quality of all our clinical services to the healthcare industry." Dr. Edmonson comes to AMN from Texas Health Presbyterian Hospital in Dallas, a Magnet hospital with a highly respected and decorated nursing staff, where he has been Chief Nursing Officer since 2010. He held the same position at other hospitals since 1998. He brings three decades of experience as a nurse leader, along with deep involvement in research, professional organizations, health policy development, and community service. He has a Doctor of Nursing Practice degree from Texas Christian University and Master and Bachelor of Science in Nursing degrees from Oklahoma University. Dr. Edmonson is well known for his success in elevating the nursing leadership role and creating collaborative teams across the clinical delivery continuum. Throughout his tenure as a nurse leader, he has initiated and led innovative programs to advance clinical quality, education, professional practice, patient experience and safety, and clinician safety. Dr. Edmonson will be filling the position held by Dr. Marcia Faller, PhD, RN, who has served AMN Healthcare as Chief Clinical Officer and other leadership capacities for three decades. She is retiring at the beginning of 2019 but will continue with AMN in a consulting capacity.